London’s population has reached its highest level in history with over 8.6 million people now living in the British capital. 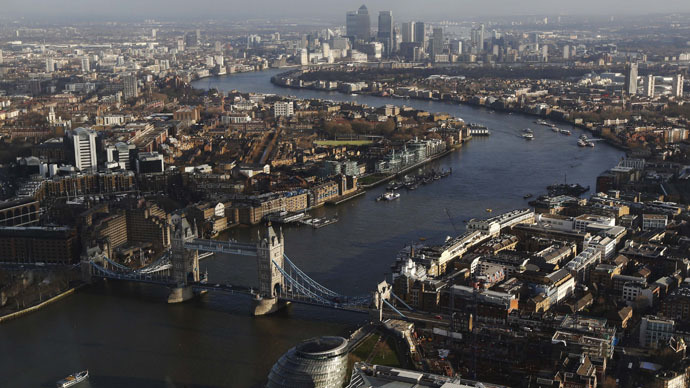 The Greater London Authority says London has now welcomed its 8,615,246th inhabitant, passing its previous peak population from 1939. Mayor Boris Johnson said the figure was predicted to reach 11 million by 2050. He said the landmark meant London’s population had grown by nearly 2 million in the past 25 years. “London’s incredible population boom is testament to the fact that this is the best big city on the planet. With more green space than any other European city, a thriving economy, a low crime rate and a roaring cultural scene it is no surprise that London is the place to be,” Johnson said. The figures show Hillingdon has had the greatest growth in population, while just over 3.8 million (44 percent) of the city's people are now of black or ethnic minority origin, which is expected to increase to 50 percent by 2038. The life expectancy of Londoners has increased from 62 in 1939 to 82 today. READ MORE:Micro-houses for micro-wages: How much room does London have for low-earning workers? While many London boroughs have grown in population, others have seen a fall. The north London borough of Islington has seen the biggest drop in residents, falling 36 percent from 343,000 residents in 1939 to 221,000 in 2015. Barnet will likely overtake Croydon to become the city’s most populous borough, with nearly 400,000 people. He said he was developing the London 2050 Infrastructure Plan as Tube services would need to be extended and Crossrail 2 would need to be approved. London covers a total area of 607 square miles (1,572 square kilometers) with a population density of 5,197 Londoners per square km, making it the largest city in Europe. He said the growth was due to international migration. “When you have such a large proportion of growth which relates to international migration, this is really dependent on what is happening in the rest of the world,” he said.